Love EZPZ? Enter to win a Happy Mat! 3/31/17 FYSF, Win an EZPZ Silicone Happy Mat Place Mat! This week, instead of cloth diapers, we're giving you a chance to enter to win an EZPZ Happy Mat valued at $24.99! These reusable and super practical place mats make meal time fun and clean up a breeze! EZPZ Happy Mat is an all-in-one placemat + plate made from 100% food-grade silicone that is BPA, BPS, PVC, latex and phthalate free. It suctions directly to the table, making it difficult for tiny hands to tip over. Designed for infants / toddlers 6+ months. One lucky winner will receive an EZPZ Happy Mat from Diaper Junction! This contest is open to the USA & Canada. Winner must be 18 years or older. Winner will be notified by email and will have 7 days to claim their prize. When my little guy is bigger I want to get some replay dishes. EZPZ happy mat has been on my wish list forever!! The green sprouts Muslin cloths look great and multi functional. I would love to try Replay dishes and of course EZPZ! They're both on my wish list. I would love to get some of the replay bowls! These seem so cool! I would love one for my little guy when he gets old enough for food! Would love some of those freezer cube trays! oooh - this looks awesome! I've always wanted to try one of these mats! I would like to try all of products haha! I'm interested in the replay products, specially the no spill sippy cup. I would love to win this for my new granddaughter that will be here in about 3 weeks! I am interested in cloth diaper rash creams. I just discovered CJ butter and I love it. I've been wanting to try EZPZ for a while! Thanks for the opportunity! I'd love an EzPz with my two littles always picked up their mats. Sooo hoping to win this for my little girl!!! My little guy is really getting into finger foods so I would love to have one of these mats. He has been picking up the bowl and spilling the food everywhere. The Planet Wise zipper sandwich bags and the Green Sprouts water bottle adapter. I'd really like to try the babyfood freezer trays! I haven't been able to bring myself to buy one but have had my eye on EZPZ! I love the idea of the EZPZ happy mat! Another product I would be interested in is the Green Sprouts Baby Food Freezer Tray. I've been wanting to try these. Thanks for the awesome giveaway! I also like the Sweet Pea Bibs! We would love an EzPz. Our current faves are Re-Play and Planet Wise!! I would love to try one for my messy toddler! Love all the shapes! Would be so useful going out to eat . Am also interested in the Planet Wise sandwich bags and the Lunch Punch food cutters! I would love some Replay products for my grandson. My baby is starting to eat more table foods so I would love to have this. I like the Replay drinking cups and divided plates! I love the Ezpz bowl placemat. So tired of cereal bowls landing on the floor! I need more Sweet Pea bibs! They are my favorite bibs by far! I also like the Green Sprouts Baby Food Mill. I would love to try ezpz, but also replay dishes and cups look like a great option too! This would be so handy at the table!! 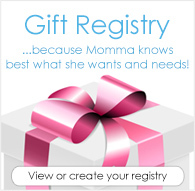 My husband and I want one of these for our baby boy :) awesome giveaway! This looks awesome! 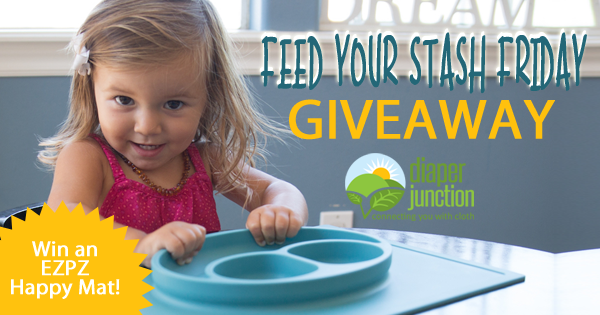 Would love to try one as my little guy learns to eat :) Awesome giveaway! The lunch punch food cutters look pretty cool; id try those! I'd like some replay divided plates! really want to try some replay dishes.